My sister and her husband just bought a camper and are embarking on a cross country vacation from Portland, OR to Atlanta this summer. 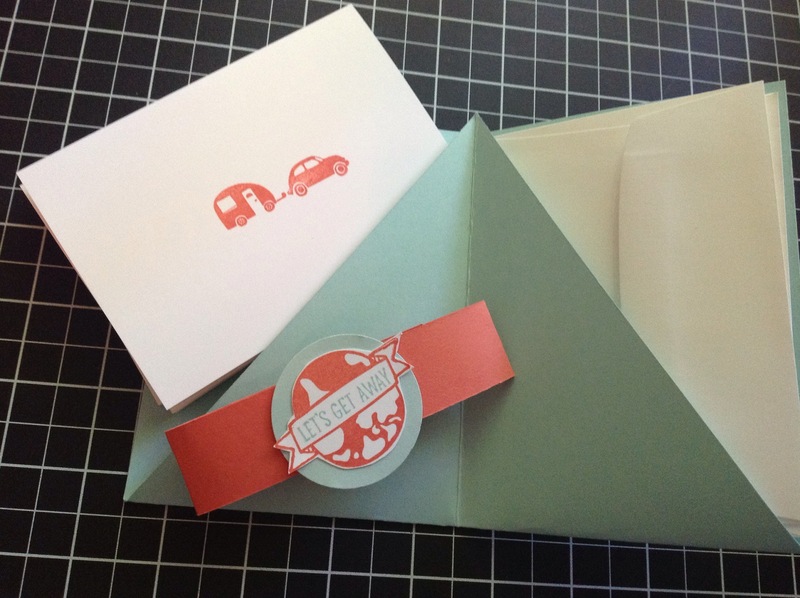 As soon as I saw the Project Life Let’s Get Away collection in the Occasions Catalog, I knew that I had to make something for them. 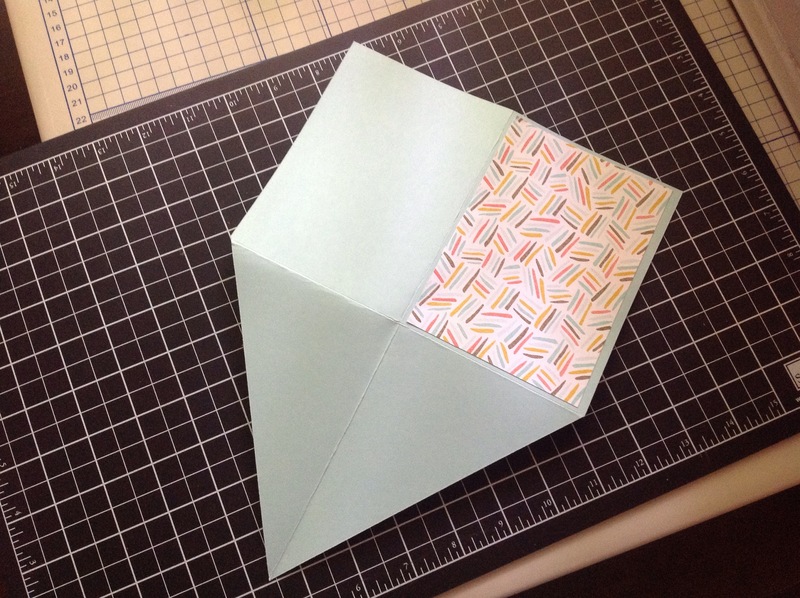 I made this adorable note card holder and couldn’t be happier with how it turned out! 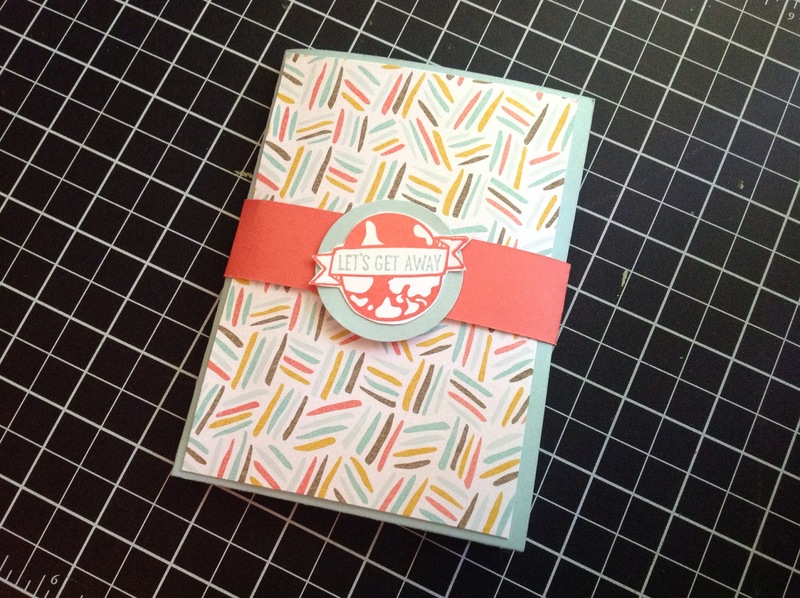 I love the retro colors and pattern of the paper from this past Saleabration and how it coordinated so perfectly with the little retro camper. I used minimal supplies for this and I actually made this while sitting on a plane. I had taken all the supplies with me on a trip to San Antonio to share with a fellow demonstrator and friend, Amy. We had such a fun filled, busy day that we never got around to making it. On my flight home I had a few minutes and made one really quick to show a co-worker how fun and easy stamping is. 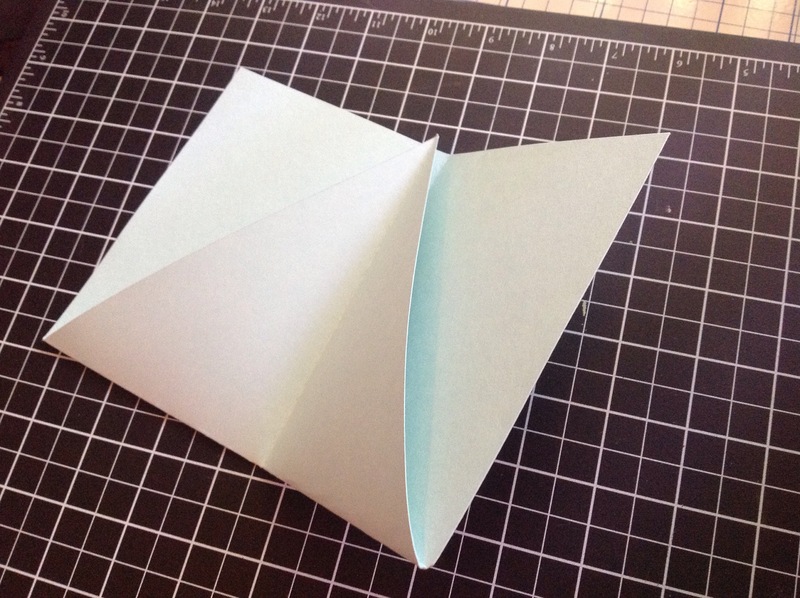 To make the folder, cut your card stock to 8×11 and score it in half at 5 1/2 and 4″. Cut the ‘V’ and fold it up. That’s all there is to it, no adhesive needed. Our note cards and envelopes fit perfectly in the pockets. I made a belly band to keep it closed but ribbon would work too. The possibilities are endless! Welcome to InKing Royalty’s April Blog Hop. Today we are celebrating April Showers – not only is this the season for Baby Showers and Wedding Showers, but May flowers are just around the corner, so you’re certain to see a great variety of projects along the hop. You may have started the Blog Hop here or may have hopped over from Lynn Kolcun at Avery’s Owlery. After you read my post, I hope you’ll hop over to the next. If you get off track at any point during the blog hop, there’s a complete list of participants at the end of this post. I was so excited to hear the theme of this month’s blog hop. My husband’s baby sister is expecting her first baby later this summer. I was inspired to make an invitation for her baby shower. I think it turned out really cute. I used the new Mini Treat Bag Thinlits Die (357547) to make the sleeve. The little white bow is part of the set. The letters are from the Perfect Print Alphabet Bigz (133725). The insert pulls straight up using a small snip of Pink Pirouette. I used one of my favorite sets in the catalog, Think Happy (w133967 c133970), for the shower theme. I used the White Gel Pen (105021) to write in the details. I just love the look of the pastel colors against the neutral Basic Gray and Whisper White. If you want to order anything you see here please contact me. The Alphabet Bigz and the stamp set are both retiring so if you want them you must hurry! Thank you for stopping by today. I hope you’ll hop along to the next stop on the blog hop, Denise Hopefner at The Mountain Magpie. You certainly won’t want to miss any of these projects.